New construction in Beverly Cove! Be the first owner of this beautiful sun-drenched, open concept home built with today's modern amenities in mind. Great attention has been paid to every detail, including a gourmet kitchen, a great room with welcoming fireplace, coffered ceilings and plentiful windows to bring the outdoors in. Charcoal maple hardwood floors are stunning and on trend and a master suite enjoys a luxurious bathroom. There is potential for additional finished space in the expansive lower level bringing future added value in a theater/game room, au pair accommodations or whatever suits you. Built by the Cabot Company, who has earned a stellar reputation over the years and are associated with quality homes of distinction. 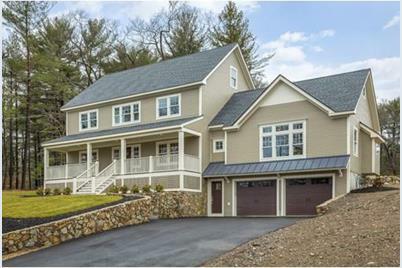 Located on the Cove/Monserrat line, this gracious residence is just 1/2 mile to the MBTA train, and within a mile of the bustling shopping and award winning restaurants of downtown Beverly, as well as your choice of popular beaches. Ready for occupancy. 5 Lakeshore Ave, Beverly, MA 01915 (MLS# 71972564) is a Single Family property that was sold at $875,000 on June 06, 2016. Want to learn more about 5 Lakeshore Ave? Do you have questions about finding other Single Family real estate for sale in Beverly? You can browse all Beverly real estate or contact a Coldwell Banker agent to request more information.